Future floor finish is an SC Johnson product and has been around for a few decades, typically used to make your home floors shine. Several years ago, military modelers discovered some great model finishing properties of this product. Model railroaders have been catching onto this but many questions frequently arise. Here’s an article that has an extensive look at the product and the different brand names available around the world. Future is now marketed under a new product name. Before we proceed, the name of the product has changed. 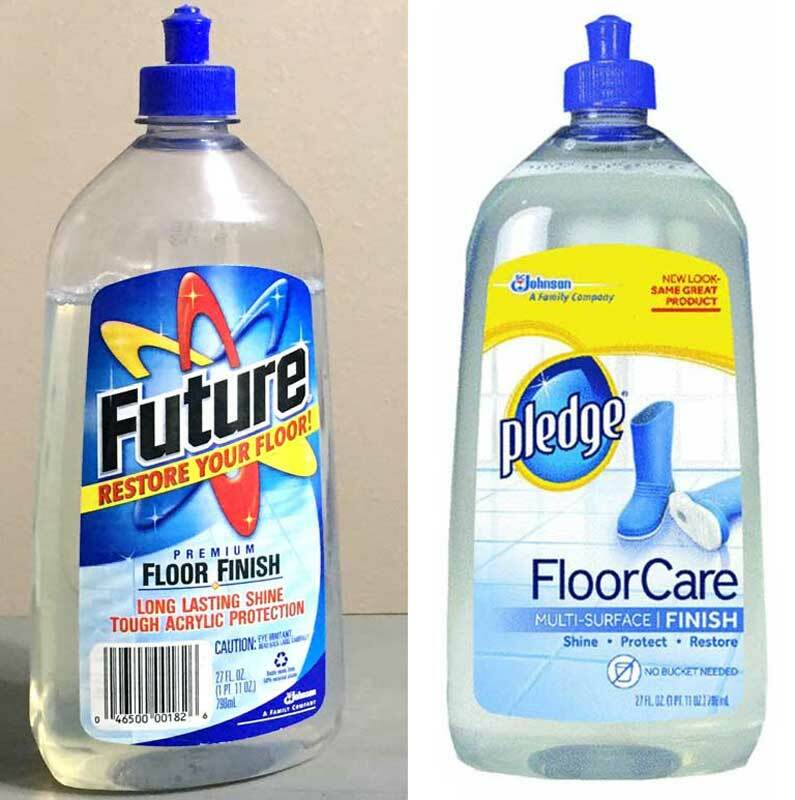 It was known as Future Floor Finish for many years but it is now marketed as Pledge Floor Care Multi-Surface Finish. It is on store shelves with the new product name. This is a clear liquid acrylic product that can be applied with a brush or an airbrush. For the sake of clarity, I will continue to use the Future product name as there are other products labeled as Pledge that may not be good for our applications. I have used Future to apply new road number decals to Accurail models. While the decal is soaking, I brush a little Future onto the area for the new decal. When the backing has soaked off in a small dish of distilled water, the decal is set and adjusted in the puddle of the clear acrylic. A small amount of Future is brushed on top of the decal and a toothpick is used to nudge the decal into the final placement. The product has self-leveling properties and dries pretty quickly. Cleaning up the brush is quick with some 91% Isopropyl alcohol. A model in the early stages of decal work. The glossy surface can easily be seen. The same model after decals have been applied. 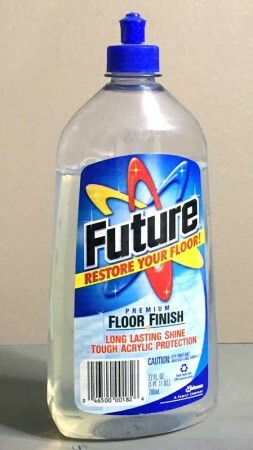 I use Future as a gloss finish, applied with an airbrush. After freight cars are painted and dry, a gloss coat of Future is airbrushed to prepare for decals. I use the same settings as I use for the Vallejo acrylic paint that is sprayed onto the models. The air regulator is set at 25-28 PSI and I use an Iwata Eclipse HP-BCS airbrush with a 0.5-mm needle. I only spray those parts of the model that will be decaled. After the models are decaled, they are sprayed again with another gloss coat to seal the work. Four newly decaled box cars. A gloss coat was applied after the decals were dry. When the gloss coat was dry, a flat coat was applied as preparation for weathering. As mentioned earlier, cleaning the airbrush is very easy with 91% Isopropyl alcohol. I keep a supply of pipe cleaners and paper towel on hand. Future is very easy to apply and I’ve heard of other modelers using it in scenery applications. I bought my bottle awhile ago and only started using it last year. It was an easy investment that makes my models look better. Do you thin Future with any kind of solvent or will it go through the Iwata airbrush as it comes from the bottle? I use Future on number boards of locomotives. After everything is painted, decaled, and weathered a tiny drop is added to the board surface. It spreads out and gives the appearance of glass. Why is this preferable to using clear acrylic or clear enamel paints. It would seem to me that the paints would be much harder and last longer. I don’t see the benefit. Much appreciate this article. Military modelers have been using Future/Pledge for years and it is a great base for water-slide decals. Thank you! Eric, do you use any Decal Setting Soultion to get the decals to settle into the grooves? 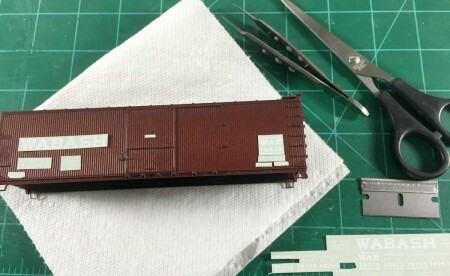 Future also works well in scenery applications when you want to refresh the surface of an epoxy “waterway”. I have used Future to cement cover slide glass in my structure windows without clouding the glass. It has worked pretty well, but I have had some glass fall out for unknown reasons. So performance there has been inconsistent. I have also used it as a glossy base for decal applications on structures. It works but it takes at least two coats to flatten out the shine afterwards.